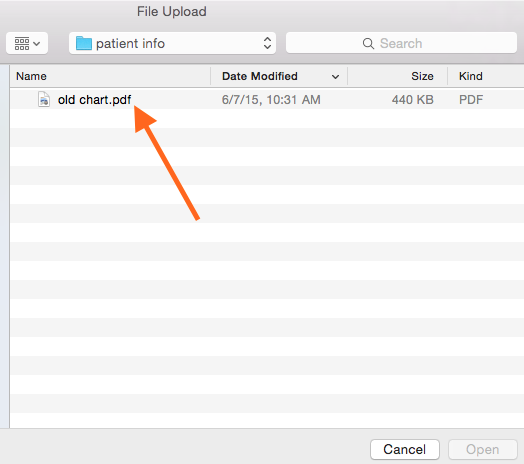 How do I upload documents or attachments to a chart? 1. 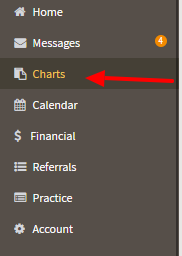 On the Navigation bar, click "Charts". 2. Then select the patient/client. 3. Once in the chart, click "Entries." 4. Click "I want to..."
5. Click "Upload" in the dropdown under "I want to..." and choose your desired file type that you want to upload and click on it. In Windows, you'll see this....for multiple files, click "Ctrl" and choose other files. You'll see the "File Uploaded" message. The file also shows up in the list below. 7. To view the file, you have to click on the name of the file. That should do it! If you need more assistance - please feel free to reach out to us.